On July 20, 1969, Neil Armstrong became the first human being on the moon. In doing so, he succinctly expressed humanity’s collective vision for Peace. Speaking for humankind, he proudly undertook a mission on behalf of our civilization that not only continues to fulfil the epic journey of our dreams, but also continues to inspire peace. Today, almost half a century on from that extraordinary moment, we are still pushing the boundaries of space exploration to the benefit of all mankind. Let’s explore what this thriving industry has achieved in just the past 18 months. In November 2014, the European Space Agency’s Philae spacecraft landed on the 67P comet. Last July, NASA’s New Horizons space probe took extraordinary images of Pluto as it flew by the planetoid. Earlier this month, Space X brilliantly landed its rocket on a barge in the sea. At the same time, physicist Stephen Hawking announced his vision for microscopic ‘starchips’ travelling at a fifth the speed of light to reach Alpha Centauri. All of these initiatives illustrate not only the endearing appeal of the cosmos and humanity’s curiosity to break orbits, but also depict the peaceful uses of space science and technology on Earth, which furthers our understanding of life and fosters remarkable technological innovation. Innovation is born from inspiration. And from the birth of human spaceflight, astronauts have been inspired and captivated by Earth’s mystical blue aura, and drawn to the “Overview Effect”, or a world beyond political boundaries. When reclaimed by gravity, they embraced our planet with a dramatic paradigm shift—as if, in a blink—they themselves transcended all political boundaries into ties of universal oneness. Together, the world has evolved into a new space age – i.e., in the commercialization of space. This revolutionary industry, which will make space accessible to all, also holds the unique potential of breaking a new barrier – making Space for Peace and Trust on Earth; it opens space to researchers, scientists, students, low-earth orbit satellites and potentially, even – peace makers and world leaders. In the interim, with Astronauts and Cosmonauts working together at the International Space Station for the benefit of mankind, we are reminded that our species must outgrow its proclivity for hatred and violence. Yet, here on Earth, we remain endlessly inventive in our ways to hurt at the micro level and destroy at the macro level. We have devised numerable systems to divide rather than unite. Yet stepping outside our planet, we can learn to better appreciate its value. To this end, the commercialization of Space will be instrumental in helping the masses reach for the stars, to reinventing Peace on Earth and to inspiring a better future for all. To put it in the words of Mercury 7 Astronaut, Scott Carpenter, “…this planet is not terra firma. It is a delicate flower and it must be cared for. It’s lonely. It’s small. It’s isolated, and there is no resupply. And we are mistreating it. Clearly, the highest loyalty we should have is not to our own country or our own religion or our hometown or even to ourselves. It should be to, number two, the family of man, and number one, the planet at large”. I can certainly say that for myself. I was born in Karachi, Pakistan, but have spent most of my life in Dubai and Monaco. Having earned a Master of International Affairs from Columbia University in New York in 1996, I have since set out to collect unprecedented ‘firsts’ while promoting innovative ways of Peace and Diplomacy on Earth in doing so. 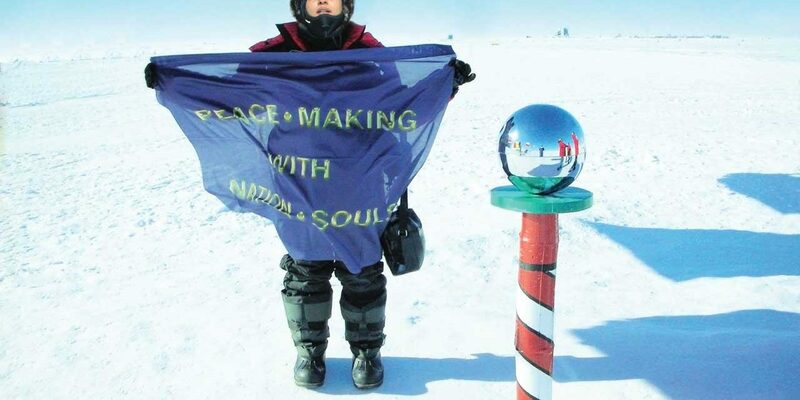 In the midst of the conflicts that continue to plague my country, I undertook pioneering expeditions as the First Pakistani at the North Pole in 2007 and South Pole in 2008, as well as the first Asian to skydive (tandem) over Mount Everest, during the historic First Everest Skydives in 2008—raising a universal Peace flag on behalf of humanity. Despite the endeavors of astronauts, cosmonauts and other intrepid voyagers, space travel is still a rarity. But we are getting closer to democratizing it. It has been a decade since I joined Sir Richard Branson as a Founder Astronaut of Virgin Galactic—the first commercial space-line of the world. The prospect of becoming the first South Asian Space Tourist, and continuing my humble mission of Peace and diplomacy beyond the poles in doing so, thrills me. Last November, I launched Space Trust to harness our hunger for exploration into a cosmic vision for Peace. As we continue to push the frontiers of discovery, we have an opportunity to inspire dialogue, enrich education, and facilitate reconciliation on Earth. 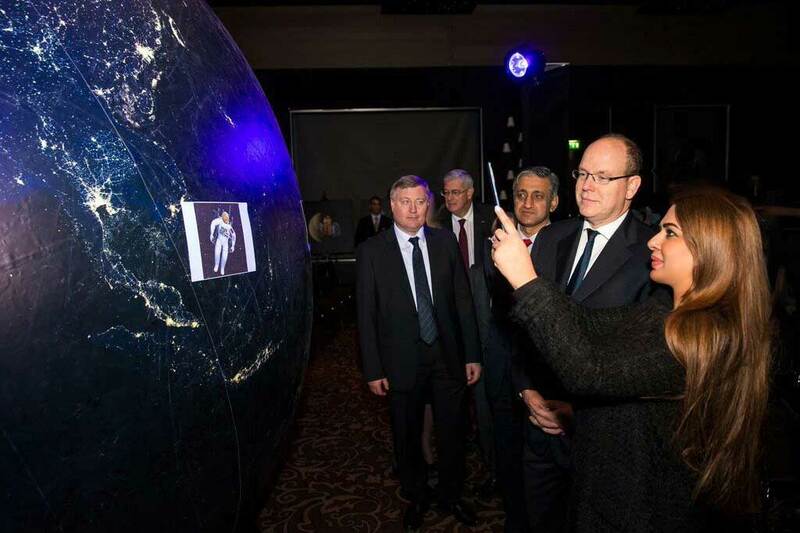 Space Trust’s mission accordingly involves research, public events, exhibitions and campaigns to raise awareness over public policy questions concerning space exploration and the impact of private sector space initiatives. By bringing together scientists, policy-makers, thought leaders, educators and peacemakers, we aspire to find innovative solutions for a peaceful world—while honoring and protecting the peace, beauty and preciousness of space for generations to come. 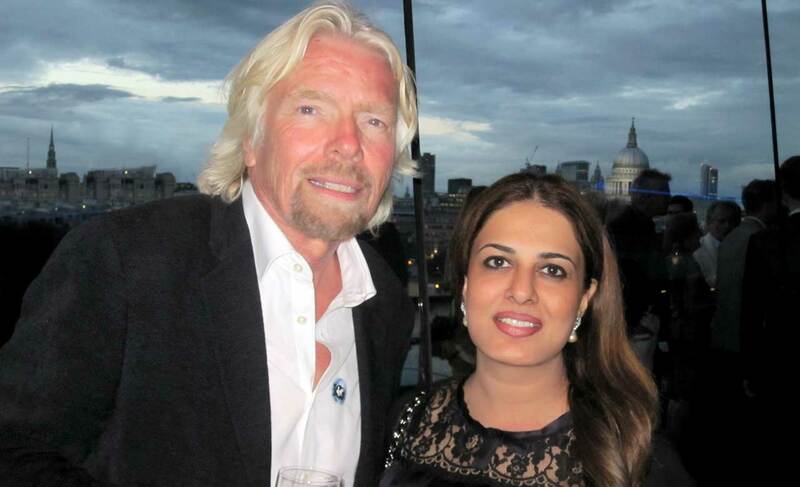 Namira Salim is the Founder and Chairperson of Space Trust. The views expressed are her own. Follow her on Twitter @namirasalim and Facebook.